Tom Schweich committed suicide at his home on Feb. 26, 2015. He was 54. Schweich was a well-known Republican leader in Missouri. He had been elected to a second term as state auditor and was positioning himself for the GOP gubernatorial nomination. Former U.S. Sen. John Danforth and now Episcopal priest performed the eulogy. He had been a friend to Schweich, and his death had particular impact upon him. Danforth reflected upon the tragedy, which was related to political and personal attacks upon Schweich as he sought higher office. One example resonated with Danforth, as he referred to an attack ad on Schweich. I am fully aware of the toxic nature of our politics. It is routine to hear politicians and political action committees attack opposing candidates and office-holders. We’ve become so saturated by it that it’s easy to become numb to its affect. And, in this case, I can sympathize with Danforth’s assertion that temperament should be a consideration when seeking the kind of work Schweich was in. You have to have an extremely “thick skin.” Still, it doesn’t excuse hateful and harmful speech. Why would someone commit suicide? It’s a haunting question. I don’t understand how a prominent political figure with a wife and children would take his own life. I think it has to do with the fact that none of us can truly know what is going on in a person’s life. I felt similarly when I heard about the death of Robin Williams. I also struggle with it when I hear the cries of parents when their child takes her own life. Suicide victims, regardless of their age, must have reached a level of hopelessness from which there seemed to be no return. Christians and non-Christians alike can experience this. I’ve been a pastor for 20 years, and I can tell you that vitriol and hateful speech can manifest themselves in any number of situations, including the church. This tragedy should challenge us to choose our words carefully and be mindful of the devastating impact they can have on others. It should remind us to be sensitive to the struggles of others and do our best to encourage them. We may not be able to “fix” their problems, but we can offer them support. And, let’s do our best to make sure our words are consistent with the witness we profess on Sundays. Suicide isn’t a political issue. Neither is bullying. I have three children in our public school system who are being taught that bullying is wrong and that there should be “zero tolerance” for it. I fully support that. As adults, we ought to model that behavior as well. We can’t expect our children to rise to an example that we ourselves are unwilling to set. You may have heard: we’re having a little national crisis right now. Little did I know last year when I planned this month’s sermon series on the cost of prophecy — the story of Jeremiah — that we’d be living at such an intersection of despair and hope. But such is the case in my town, where a national government shutdown translates to individual, personal panic for many in our city and our country. And we, the church, stand squarely at the crossroads of the two. So I’ve been pondering anew this week: how do people of faith speak truth to power and simultaneously proclaim hope in the middle of personal pain? While I’ve been trying to channel the prophet Jeremiah, pundits are making varying statements downplaying the government shutdown. Some say it’s really no big deal at all. I mean, the worst thing that happens is some museums close and you can’t get in to visit a national park, right? I’m not a politico, so I’ll leave politics and economics to the people who know about those things. But I know about pastor things, and here’s what I see. There are a lot of people in my town who have to pay their bills, just like you and me. They are gifted, committed and hardworking federal employees who support the incredible infrastructure of our government and help make our society one of most advanced in the world. They’ve already seen salaries frozen and gone through furlough days over these past few months. On Monday at midnight, their jobs stopped, and so did their paychecks. They don’t know what’s coming next. At Calvary, I’d guess at least 75 percent of our families are directly affected by the government shutdown. My inbox and voicemail this week are filled with messages from people who are scared about what’s ahead. I’d send the federal government a bill for out-of-the-ordinary pastoral care services required by this situation, but I’m pretty sure whatever office I’d bill has been shut down. Beyond federal employees, recipients of government assistance are now being denied food and other critical services. That means, for example, that over 9 million poor women and their children in this country have stopped receiving nutritional support services and healthy food through the WIC program, among other things. And this is but one small example of critical services stopped with the grinding halt of the federal government because of the disagreement over the Affordable Health Care Act. Basically, Congress has decided to deny people food so that they can then deny them health care. Some suggest that churches can pick up the slack while the government sorts itself out. I don’t know about your church budget, but our fellowship fund is a bit short of the $7 billion dollars it takes to fund the Special Supplemental Nutrition Program for Women, Infants and Children. As each day of government shutdown passes, the needs of the most vulnerable and precious in our society get more and more urgent, and churches don’t have the infrastructure and cash reserves to meet those needs on a wide scale. Still, as people of faith, step up we will. We will love, encourage and support each other. We will pool our resources to help as much as we can. We will ask those who have more to help those who have less. We’ll continue to find ways to be God’s hands and feet in a world where the weak and vulnerable suffer at the hands of the rich and powerful. We’ll keep raising our voices and speaking truth to power. In short, the church will do its job. 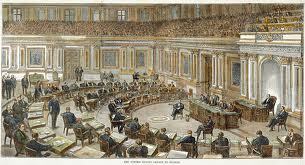 Wouldn’t it be nice if Congress did the same? OPINION: Views expressed in ABPnews columns and commentaries are solely those of the authors. Amy Butler is senior pastor of Calvary Baptist Church in Washington. She blogs at Talk With the Preacher. Her “Talk With The Preacher” column appears biweekly at ABPnews.com. Last week, the Connecticut legislature passed a broad set of laws intended to limit gun violence, both by curtailing the availability of high-capacity guns and by increasing access to essential support services for those who live with mental illness. Now, many people read this blog, and I suspect that you represent a wide range of opinion on what should be done to try to prevent mass shootings, but that’s not what I want to write about today. What struck me was the comment made by the Senate minority leader, John McKinney, who represents Newtown: “I wake up in the morning and put this green ribbon and pin on my jacket lapel to remember those we’ve lost…And what I’m proud of is that all of us, Republicans and Democrats, understood that some issues, and this one particularly, should rise above politics.” (Peter Applebome, “Legislators in Connecticut Agree on Broad New Gun Laws,” New York Times, April 1, 2013) I know what he meant;I think we all know what he meant. He meant that certain issues are of such crucial importance to our national and local well-being that we need to come together and address them in meaningful and substantive ways. In other words, they should be above, not politics, but partisanship. What interested me was the slippage between the two words, because it seems to mirror a fundamental misconception that is trapping our legislators in stasis. Politics is not partisanship. Politics is the art of working with people with whom we disagree about quite a lot in order to discern our points of common interest and work together to do what needs to be done. Partisanship is about ideological purity; politics is about getting one’s hands dirty and doing the grunt work of democracy. For all its emphasis on right conduct, the Christian tradition has little patience with false purity, purity that serves as an excuse to avoid caring for the people of God. One of the first things that happened after Christ’s resurrection was the development of dissension in the ranks. What did you need to do to be saved? Did Gentiles need to be circumcised? Were you allowed to eat meat that had been sacrificed to idols? How did a Christian dress? What were the proper roles of men and women? Rather than standing secure in their own righteousness, the disciples convened a council: they laid out the issues that were dividing them and struggled to understand what God might be doing and fought with one another and, finally, came to an agreement that would allow the church to move forward. 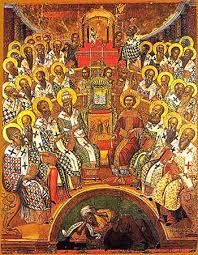 That compromise allowed Gentiles to be incorporated into the church; without it, we would not exist today. We do not often have one person whose role allows them to make all the final decisions, but the rest of the model would work well for our families, churches, and communities. 1) Decide which decisions are important enough to work on. 2)Lay out the issues with as much clarity as possible. 3) Listen to each person’s opinions and insights. 4) Include those on the margins, those who seem least important. Our decisions affect them, too. 5) Lay out each opinion carefully, but not obstinately; be willing to be persuaded that someone else’s way may be better than your own. 6) Be willing to try something new: the young whom Benedict specifically includes are the people least likely to be vested in the way things have “always” been. In the end, Christianity is not about ideological purity, but about living into the bonds of mutual love. What would our country, our churches, or our families look like if we tried to live this way? How would your own behavior need to change? The tragedy of Billy Graham’s endorsement of Mitt Romney is not Graham’s choice for president of the United States. It would be the same had he endorsed President Obama. The tragedy is that he made an endorsement at all. His removal of Mormonism from his list of cults and his endorsement are simply the results of human frailties. Billy Graham, like so many of us, is unable to resist the warmth generated by the perception of power. We thought that he had learned his lesson from being burned by getting too close to Richard Nixon. Apparently we were wrong. Many of us have placed Graham on a pedestal and assumed he could do no wrong. He has all of the fame and adoration that one person could possibly enjoy; however, the lure of political influence is too strong for mere mortals to resist. Of course, Billy Graham has the same right as any other American citizen to endorse whomever he wishes – except that Graham is not any other citizen. He occupies the position of spiritual counselor to the world. He is a role model for millions of people. He has sacrificed a spiritual leadership position on the altar of partisan politics. He has become one more role model tarnished by the allure of political influence. I have marveled at his ability to resist the temptations that money can bring, and he has not been touched by the sins of the flesh that have engulfed so many other televangelists. He is a truly gifted communicator who can deliver a message to millions of people. He has neared the finish line of a remarkable career with very few blemishes on his record. Why would he sacrifice all of this for a fleeting moment of political influence? Most of us can manage the really big moments in our lives, but it is all those pesky little problems that arise in the meantime that cause us so much heartburn and heartache. Power is a powerful magnet, and no matter how much of it we have, it is never enough. Politics seems to be Graham’s Achilles heel. He is unable to stay away from its lure. The problem may lie with us in that we expected too much from another mere mortal. When the election is over and the results are known, Graham will get much of the credit and the far right will be strengthened if Romney wins. Religious leaders will be encouraged to enter the political wars. If the president wins, Graham will have sacrificed his influence to politics. Either way he will be the loser, and so will we. I am glad that God did not trust me with the responsibility of judging who on the national stage is more Christian. Because I believe that there are no levels of Christians, I am automatically disqualified as a judge. I also believe that there are no levels of sinners. We have all sinned and fallen short. I do know that it is un-Christian to leave people without health care, food or hope. I can judge those things. Who am I as a layperson to criticize Billy Graham? I am just another flawed human being striving to find enough light to make it through life. I am reminded of my conversation with the late Dr. John Hamrick, long-term pastor of Charleston’s First Baptist Church. Billy Graham does not have to please Mitch Carnell. He only has to please God. Mitch Carnell is a consultant specializing in interpersonal and organizational communication. He is the editor of “Christian Civility in an Uncivil World.” He and his wife are active lay members of First Baptist Church of Charleston, S.C. Mitch blogs at MitchCarnell.com.